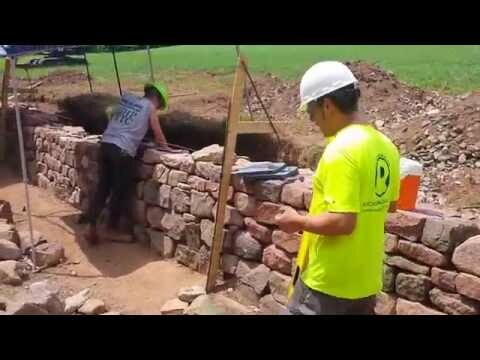 Recently I've been working on a retaining wall. When it came time for the cap stones I normally pull out the 14 inch gas saw and do some trimming. But like all things in life some times things happen for a reason. My gas saw wouldn't start. I needed to trim my caps stones down to size with out running the risk of loosing any of them. I pulled out my Trow and Holden Carbide Rocko Chisel. 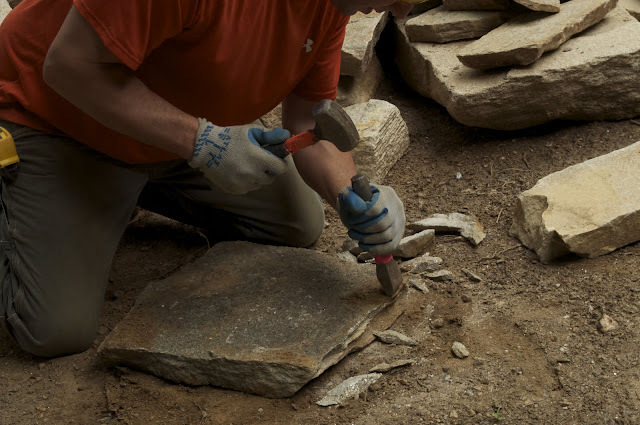 I had first learned about this chisel from a stone mason Richard Tinsley from KY. I've had this chisel in my bag of tricks for over 2 years. I never understood why Richard only owned one chisel. For the life of me I couldn't find any use for this Rocko. Until the gas saw wouldn't start. I get it now. The design forces the energy away from the edge of the stone. Forcing the stone to break at the point of contact. Reducing the chance of creating a undercut or breaking off more then you would like. After a few days I've wondered why I even would think about using a gas saw. 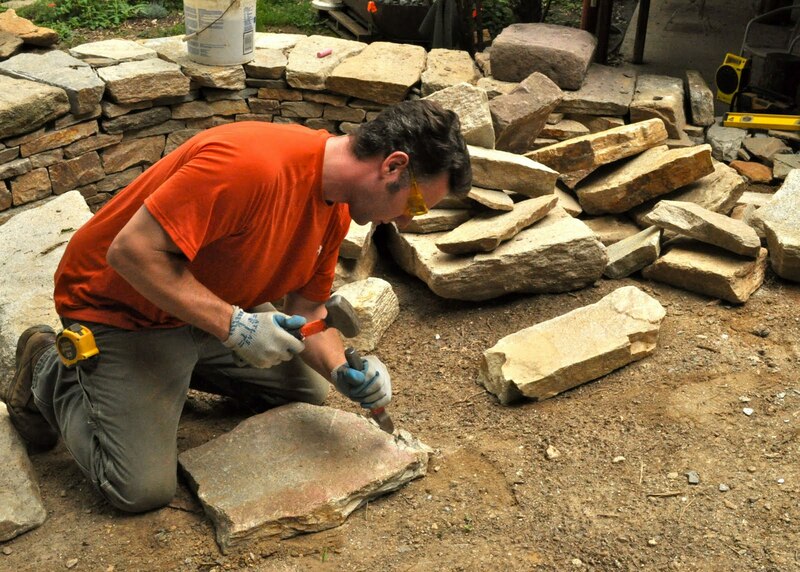 It never looks natural when you cut a stone with a saw. With a little more time I'm sure I will never have to start that gas saw again. Ok maybe once or twice from time to time. This is a short video from Trow and Holden along with info on the Rocko from their web site. I have heard many good things about those chisels. I will have to see if I can order some from the Internet. Surprisingly difficult to get good ones over here in Ireland. For me, the saw is always the last resort. I like to try and keep the natural edge as much as possible, besides looking better, its also more enjoyable to knock the edge of with your hammer and chisel than getting out the big noisy saw. If you need one let me know. I'll buy it and ship it. I know your good for the money. Just let me know!! Thanks for that Mark, will definitely keep this in mind. It looks like you use a Estwing hammer with your Rocko. Do you find the 2lb or 3lb to your liking? Thanks for the great blog. Also, could I get away with, say, just a Rocko and a hammer for working with blue stone or sandstone? Just doing a home project, but really enjoying learning and using this stuff. I do use the 2 pound. I like a lighter hammer for my us. 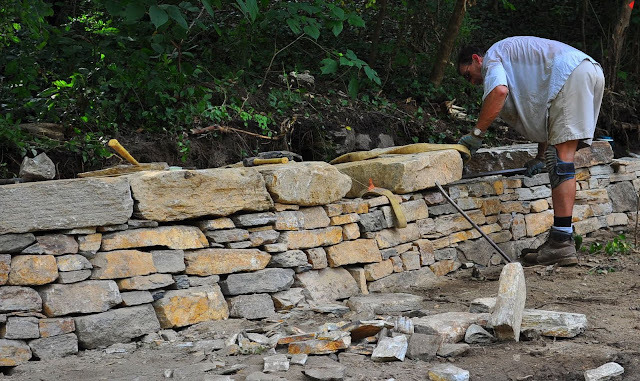 Every stone works with different hammers or chisels. I would suggest if your looking to do some home projects I would just buy a brick hammer to start. I use this hammer more then any thing else in my bucket of tools. This is really all you need for now. If you plan to do more then you can move into some thing else. But another hammer would be the next step. Not the Rocko. 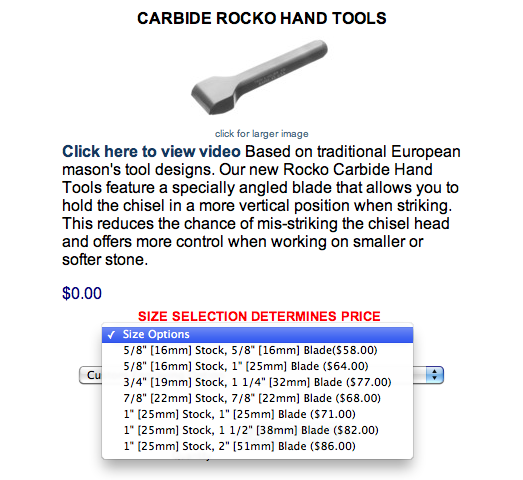 This tool really is better for shaping stones such as cap stones...ETC. Picking up a hammer and chisel is one extra step. Which means one more wasted step when speed is every thing. 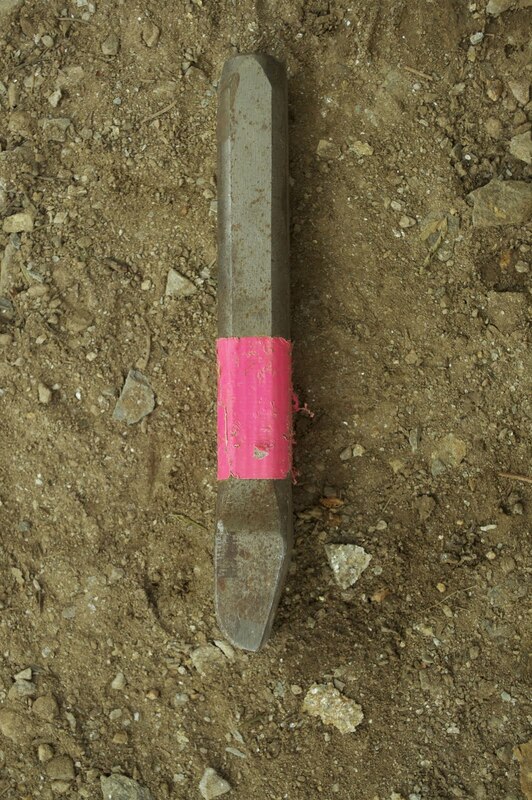 Also check out my other blog http://www.drystoneresource.com - Tools - Basic waller tools. Thank you for following me my blog. Thanks for the info Mark! Appreciate this kind of advice for us novices. Very helpful.